But what is Ferrari going to offer Mercedes and Renault to go with them? They have to offer them a fair competition. that is probably all they want, I don't think that now Ferrari has an advantage, they take a bit more money than the others but without it they would be dead (Ferrari S.p.A. is a very small company compared to Daimler AG, they simply can't compete in terms of money with them). to me it looks as if in the last 20 years F1 has been a sport where manufcturers were more or less allocated eras to win, first it was Ferrari, then it was Renault, etc etc, and nowadays we have the Mercedes era and that is not because Mercerdes is better at bulding Engines than the others but because they wrote the rules for the PUs and started working on them 2 years ahead of their peers (and the regulations were designed to hamper other manufacturers from catching up). Not too long ago LdM let out part of the MB story which was shared with him probably by Lauda. 1. Theoretical side of the hybrid PU development allegedly was launched in 2007 at MB (7 years prior first race in Australia). 2. Phased operations were launched about two years ahead of Ferrari and Renault even began to plan for 2014. (Most likely in 2009). Bottom line - MB had, according such estimates, about 4 years jump on the others. Honda was absent from it all, and hasn't really attended any regulatory meetings with others in Paris. Hopefully McLaren will come to lead the mid-fielders. >Second is, FIRST of the losers. IF only AIMING for midfield, and things DON`T work out. U R with the RedBull`s (midfield). If that is how Mercedes gained total control of the grid, we should expect a similar outcome in the next era unless other teams begin to pursue similar strategies. It is obvious that politics has been a part of f1 for many decades. But this kind of strategic and manipulative long term effort seems a step up to me. It would appear Mercedes not only planned almost a decade ahead, but seemingly worked on a combined technical and political strategy for taking over the sport by designing and testing new types of hybrid power units at the same time as working politically - openly as well as covertly I guess - to have f1 and FIA decide exactly such a power unit as Mercedes was preparing. It's a pleasure to have you on board, Robert. We do need some fresh air around here. I tend to agree with you almost without reservation, and I would add to your assessment, perhaps there is not that much concern about level playing field, but fight is about who will take control over grid in coming years. Meet the candidates - RBR, Ferrari, or McLaren. Hydrogen fuel cells will become a leading source to power vehicles, Elring-Klinger’s CEO said. Fuel-cell cars can be refilled quickly, while a limited supply of lithium batteries will pose a bottleneck for electric cars. Strangely enough, at a seminar I've attended in Mexico about 15 years ago a client of ours predicted this situation almost to the syllable. Maybe it's not a such brainer after all. (To me) looks like a fight between, the Renault team`s. RedBull racing & McLaren. Mercedes & Ferrari WILL (likely) - Run OFF into the lead, with .NO real fight/challenge, except between their selves. Honda made, BIG mistakes with the Mclaren-Honda project. NOW tryin to, save-face with RedBull Torro Rosso. The Chicken OR The egg ?? If any team who entered F1, and didn't finish in first place, and which made them feel like losers. They wouldn't have ever entered the sport. U HAVE got 2 B in IT; 2 WIN it !! Who cam e SECOND in the 1998 Ping-Pong olympics ????? That said, ?? who came FIRST ?? Yeah, but they all do research in different technologies and thus will tell the world their own tech is to become the answer to the future. The future will probably be a mixture of it all to some degree. Hydrogen is clean tech and has a lot of potential but also some draw backs, Hydrogen can be burned to water or used in fuel cells (That also can handle natural gas is my understanding) to produce electricity for electrical motors.Some of the drawbacks are: H2 is a very explosive gas which will have to be kept in very strong pressure tanks and refilled at gas stations at very high pressure. My understanding (I am not expert) is that hydrogen molecules are difficult to handle in pressure systems (very small molecules) without leaking through valves and joints. Batteries are easier to handle in a vehicle. The main draw backs of batteries is their slow charging, high cost and weight because an electron is such a small part of the whole atom (only like 20 grams of our body weight comes from electrons - the rest is atomic nuclei which are necessary to "hold on to" the electrons" - In a battery the weight of electrons is probably also very small compared to the weight of the whole cell.). 1. Let Liberty do whatever they are going to do? 2. Let Bernie E. do whatever magic he believes he can still do (really?). 3. Set up a new series under Ferrari. 5. Take the Sakae solution (which I still really don't know what that is...so I won't attempt to summarize it). F1 is clearly broken. Five seasons of Ferrari dominance, four seasons of Red Bull dominance, it looks like five seasons of Mercedes dominance. I still see only one solution (which I gather Liberty, Todt and even the vile Max Mosley agree needs to be done). Yea, not sure how they are going to do that, unless they give them all equal say in the rule making process, and basically set up a CART-like board. It did work better than some other solutions (better than USSAC and Tony George), but there were problems with that system. Would such a board consist of only Ferrari, Mercedes, and Renault....or would it also include Red Bull, McLaren.....what about Williams, Force Whatever, Sauber, etc.? Is Ferrari willing to share power with the garagistas.....or is it going to be a series run by the big boys for the big boys? Many complications here. 1. Less money for teams (and consequently more money for LM). 2. Screw Ferrari. (Anglo-Saxon side applauds, LM pockets that cash as well). 3. No more grid girls. Money saved. Good optics and PR - we (in F1) are busy! 4. Add races. Good for LM (bad for the teams, but who cares?). 5. LM placed F1 behind a TV Pay wall. That's nice; first teams, now the fans. Problem solved then? Not yet. 6. Impose budgetary limits (on competitive technology based sport), despite strong opposition within. I think its totally nonsensical move, but then, I have no say. F1 club stays deeply divided in the middle on that subject, and there is no compromise in the air. I am not actually sure what problem is being attended with this, because it creates more angst and new class of problems. There are other means how to control cost, but those need some thinking (unfortunately). Hint - you build a space shuttle, its expensive. If that surprise you, its your fault. You are in wrong sport theater. Cost of technology is proportional to technology specifications. 7. Mantra on return to normally aspirated engines. Well, there are some people in all walks of life who do strive in turning clock back into old "good times" - for them, of course. Its not that easy however, because not everyone is backward looking person. I gather one needs to address some fundamental questions first when a business plan is being formed. Has LM one? Not sure of that, but I am hearing they are talking. Issues of customer's and sponsors' interest, issues of sustainability, etc. Simple truth is, sport needs to stay relevant in some way for fans and players alike. High cost? Well, F1 was never meant to be for everyone, and with expanded travel schedule, and complex technologies, things are not cheap. Simple rule - if you cannot afford golfing or racing, than don't do golfing or racing (F1 style). Problem solved. Who said that every D#ck and Harry needs to participate in this high octane environment? One can create separate series (one of many) for every D#ck and Harry, but it is not going to be high end technology based and very unique sport of our time. It is true that 30 years ago cost of living or play was cheaper, but that scene will never return. Do not jerk with rules every two months and spring it in last moment on teams when people already retooled operations and spend money for something else. Choice of future technology? I want to see that business plan which tells us who we are, and where we want to be 5 - 10 years from now, and then we can define what car we have to build. Fix downforce. Aero is screwed up (IMHO), there are too many tires, CoG is off, development restrictions are applied (so it seems) in wrong places, etc. Go back to the drawing board. Drivers need to be self reliant and race wheels off the car, without worries about fuel and engine wear, etc. All of this has been discussed already many times in the past, including challenges budget line creates. People do not read, just pray about their perception how world works. Anyway you cut it, there are no simple answers. Topic is relevant to F1 (IMO) because new technology direction has to be chosen soon (2 days before yesterday), planned and implemented 3 years down the road hence. We are not going back to coal mines, nor we will return to ICE. Hybrids in some shape or form are here to stay for foreseeable future as most practical solution and reflection of current state of technology. I am in doubt, that all electrical cars will save the day. Infrastructure is not there to support the demand. Is hydrogen future? Well, maybe, after challenges you have outlined are removed and transformed into practical and economical solutions. Anyone who is gunning for ICE has to realize what's in stake, however I am not certain if certain teams actually care, however I am sure automakers do. All of them, not just Ferrari. Mercedes had to have some sort of return on their investment, that's how it works in F1, you put a lot of money on the table and after a while you get your fair share of silverware. you just have to look at RBR in 2017: how on earth could they had better Renault engines than the works Renault team? The politically correct answer is that they got some help from Illien, the real answer is that they were allowed to use much more fuel than should have been allowed (and in fact we no longer got the fuel consumption figures) just to protect F1 from their potential withdrawal (huge loss of revenues for F1 as a whole). That is why I believe that Honda will win something in the near future: Honda put a lot of money into the sport and they now want their return, refusing Honda some silverware would turn off other potential manufactures. Ferrari? Ferrari is not needed in this era so I think that no matter what they'll come up they'll be second or third for a few more years. When interest in F1 will need some propping up Ferrari will win again. Thank you. You think the results are fixed? RBR being allowed to use more fuel than Renault? And Mercedes winning from similar reasons? Did I get that wrong? I seriously doubt it works like that. Major domestic carmakers and infrastructure companies have begun an “all-Japan” effort to promote hydrogen as a next-generation energy source for vehicles, as 11 firms formed a consortium Monday to promote the development of hydrogen stations. In pursuit of zero emission - Back to hydrogen, target is year 2021 for 80 refill stations (101 are under construction in Japan). How is this relevant to F1? This is a nagging question in time when automakers want to stay with racing technology which is (at least partly) relevant to road outside of a racing track. If inquisitive mind wonders what's next step after current hybrids, this might be area of interest to explore, and I am sure Honda can read and is aware of competitive strands in their own backyard, just as German industry is. I have no definite answers what future holds, however I am in no doubt about two issues. Investment is not going to be made into revival of old ICE, and research into racing application of such technology - if it happens at all - is not going to be blocked by some arbitrarily limiting budget. Also a manufacturer who used to be in F1 and who didn't want to be named (BMW?) made some very detailed remarks about this subject some time ago. They also had well developed facilities, including a test track, that gave them advantages. Ferrari has 2 test tracks (Fiorano and Mugello) because especially during Enzo Ferrari's time they put all the money that they had into racing and not into swanky offices or private jets et all, if Williams or McLaren had used their money in a similar fashion they would have had the same facilities as Ferrari. What bothers me about this is that when you put all your money into racing you're punished because your peers want to buy the latest version of a private jet. 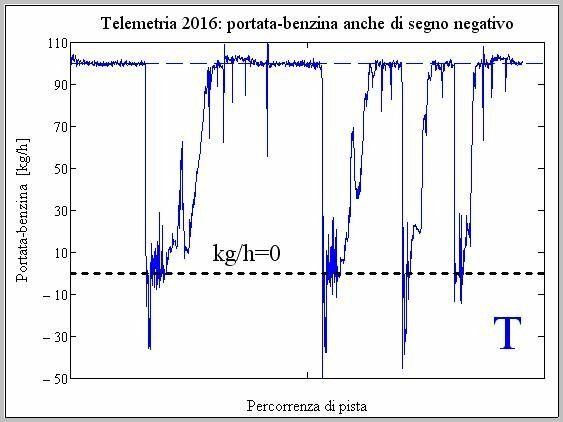 Would be possible to coax an Italian journalist to get a comparative sample of the same graphed values just to learn what is "normal"? Data as seen might need explanation (validation). Was there noise on the signal, issues with bench calibration, etc. That is one of the challenges of a budget cap. Not sure how Liberty will address it. I have not seen specifics. I posted the latest Chase Carey remarks on the budget cap and concerning Ferrari's quit threats over on the "Under New Management Thread" as I think that is where these discussions should go. Yea, obviously I don't think anyone want to drive out all the engine manufacturers (and I have no indication that this is Liberty's plan). In fact, I think there should be more. But with three of the engine manufacturers owning their own teams....and most having a B team.....then the only real independent engine maker is Honda. There probably needs to be more than one choice out there for those teams who are not engine makers. Yes...but this is also sad. F1 could use a real fight for first. Maybe I should do driver predictions next.